Picasso Lane is twelve years old when her father, Oliver, is murdered at their summer beach house. Her mother, Diana, is the primary suspect—until the police discover his second wife, and then his third. The women say they have never met—but Picasso knows otherwise. Picasso remembers the morning beautiful Jewels showed up at their house, carrying the same purse as her mother, and a family portrait featuring her father with two strange boys. Picasso remembers lifting the phone, listening to late night calls with Bert, a woman heavily pregnant with Oliver's fourth child. As the police circle and a detective named Kyle Kennedy becomes a regular fixture in their home, Picasso tries to make sense of her father's death, the depth of his deceit, and the secrets that bind these three women. 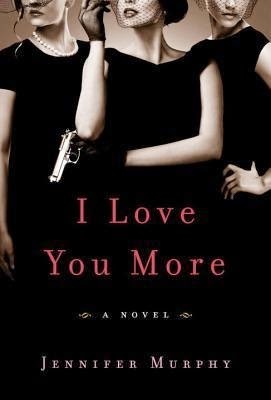 Cunningly paced and plotted, I Love You More is a riveting novel of misplaced loyalty, jealousy, and revenge. Publishing June 17, 2014 by Doubleday. What a great pick! I like it! :) Added to my TBR!